How to read someone’s Whatsapp messages without them knowing? How to spy on Whatsapp messages? Are you looking for the solution of these questions? If yes, then I am 100% sure you want to keep your eyes on your partner’s smartphone for WA activities. 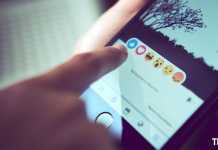 A recent study report shows that nowadays breakup in between boys and girls have been increased due to the excess use of social networking apps like Facebook messenger and Whatsapp. It is also increasing communication gap in couples, which is affecting in their romantic life. The same thing is also happening with married couples and that’s why people want to spy on Whatsapp messages. There is no doubt, that WA is the most popular best instant messaging application for Android, iOS, and Windows smartphones. So, we always try to keep you updated with latest Whatsapp tricks and new features. There are many reasons, why people search for how to see someone’s Whatsapp messages. 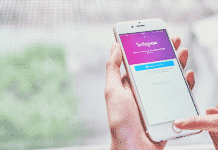 If one person is doubting on his person, then he could try to track her online activities, because social media is the best platform to communicate a wide range of people. You can’t do that without any accessibility on your partner’s cell phone. This is the one thing Whatsapp avoiding you to do that for protection factors. But, nothing is impossible. If you need to read someone’s Whatsapp messages without knowing them, then the only way to do this is to buy a spy app which is too costly that can be installed via an e-mail you send her. The email is only the procedure to open the application on your partner’s phone, that the app could able to install in the background. Unknown to her, it will invisibly install the spyware app on her smartphone. You can also do it manually. But, this will not be a legal way to see someone’s Whatsapp message. Let’s know the legal procedure which is the simple and easy way to prank with your friends and partner. How to Read Someone’s Whatsapp Messages Online? If you want to spend money to track your partner’s smartphone, then you’ll get a variety of apps on the Internet. If you need it without any cost, then this process will help you. This process requires your partner’s or friend’s phone only once. After that, you can spy on Whatsapp messages without knowing them. 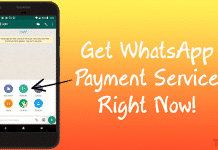 2) Now open the Whatsapp on your partner’s smartphone and go to Menu >> WhatsApp Web. 3) Scan the QR code available on the computer screen through your partner’s smartphone. 4) After a successful scanning, you’ll be able to see all the conversions on your computer screen. If you have any doubt about the procedure, you can follow complete WhatsApp web tutorial here. This is all about how to read someone’s Whatsapp messages without them knowing online.